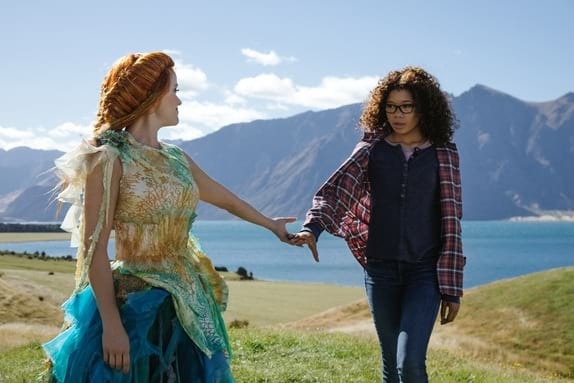 Gracing the cinemas very soon is A Wrinkle in Time, author Madeleine L’Engle's beloved novel about a young girl searching the different corners of the universe for her father, brought to the big screen by visionary director Ava DuVernay from a screenplay by Oscar winner Jennifer Lee and Jeﬀ Stockwell. The classic novel, a staple read for young adult readers for decades, was about discovering the strength that comes from embracing one’s individuality, and that triumph over fear can be achieved by traveling through one’s own light -- lessons and themes that cut across generations and remain relevant up to this day. Bringing a new vision to this timeless story is Disney's film adaptation, and bringing it to the big screen is quite a big deal, for both fans of the book and moviegoers alike. Read on to discover more about why 'A Wrinkle in Time' is important (and a must watch) in this day and age. 1. It's been a long time coming -- over fifty years in the making. In fact, the classic science fantasy novel by Madeleine L'Engle was first published in 1962. While it's not the first screen adaptation (the first was in 2003 but as made-for-tv film), the 2018 is the big-budget release by Disney that's set to make longtime fans of the novels trooping to the theaters. 2. The hero in this story is a girl -- an awkward, geeky protagonist struggling to fit in. We've got a fantasy sci-fi adventure film with a very relatable lead -- you have a young girl Meg (played by Storm Reid) in the stages of awkward adolescence drawn into alternate dimensions, 'wrinkling time' to rescue her missing father. There's no superhuman ability involved with her, but she's armed with her smarts for science and math (her parents are both scientists, after all). It's someone every young viewer, little girls especially, can look up to an aspire to be. Such a special gift. Staring at her signature, today, wishing I could have met her, hoping we did her proud. 3. The scriptwriter for the film is a long-time fan of the novel -- and she also happens to be the writer and director of Disney's Frozen. Academy Award-winning Director Jennifer Lee has been a long time fan of 'A Wrinkle in Time' before she signed on to be its scripwriter. If you are a fan of the Oscar-winning animated feature 'Frozen,' then you know what kind of magic Lee can bring into breathing the upcoming fantasy film to life. 4. 'A Wrinkle in Time' has already made history in putting director Ava DuVernay at its helm. DuVernay leads the upcoming adaptation, becoming the first female director of color of a big budget film (100 million dollars), and the fourth female to solo-direct a film with a budget of over $100 million. Hers is the daunting task to create different worlds and dimensions, bringing to life different planets and beings that readers have been only imagining in their minds for over five decades. 5. Its A-list cast is diverse and speaks of female empowerment. DuVernay's works have always been a celebration of inclusion and diversity, and 'A Wrinkle in Time' is no exception -- helming this big-budget blockbuster also entailed having the right kind of people in the team. A multidimensional cast of characters required a stellar, diverse lineup of talent to back it up, with the likes of Reese Witherspoon, Mindy Kaling, and Oprah Winfrey portraying 'The Misses,' Meg's guardian angels, embodying the different kinds of femininity and ethnicity. In fact, Winfrey has shared an interview that making this film was like making the new 'Wizard of Oz' for the next generation -- and that is something to be incredibly excited about! 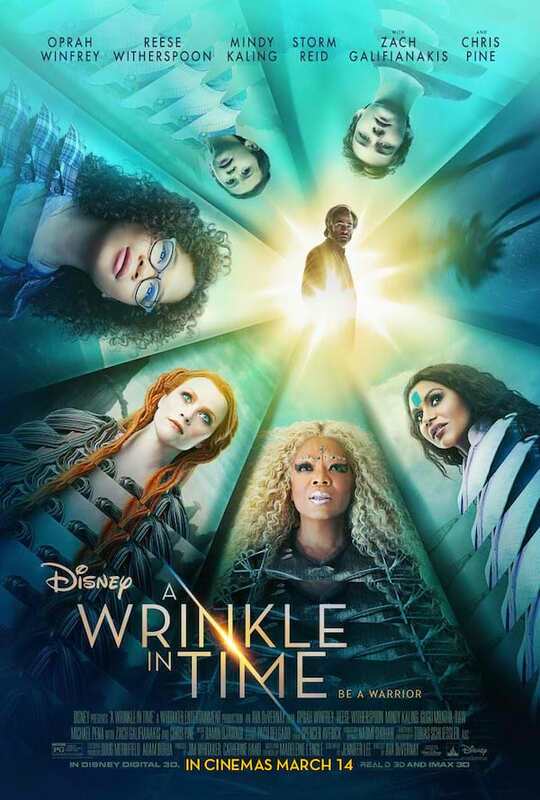 A Wrinkle in Time is distributed by The Walt Disney Company (Philippines). 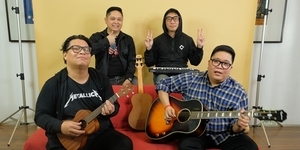 For the screening schedule, you may check out this link. Like them on Facebook, and follow them on Twitter and Instagram (@WrinkleinTime) and use the Hashtag: #WrinkleinTime.